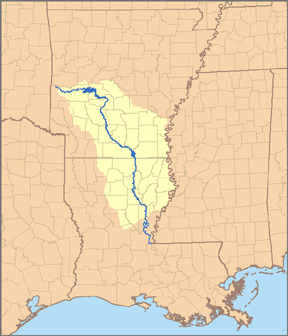 List of rivers in Arkansas (U.S. state). For a list of dams and reservoirs in Arkansas, see List of Arkansas dams and reservoirs Rivers are listed by drainage basin, by size, and alphabetically. Rivers are measured by their mean annual flow of water in cubic feet per second (cfs). One cubic foot equals .0283 cubic meters. This page was last edited on 5 April 2018, at 01:41 (UTC).